Dr. John Scott is a board-certified urologist who specializes in minimally invasive urologic procedures including HIFU for localized prostate cancer. We asked Dr. John Scott to answer a few questions about why he was initially interested in medicine and his experience with HIFU as well as other treatments for prostate cancer. Read Dr. John Scott’s complete bio here. 1. What was your main motivation in becoming a doctor? When did you decide on this path? I’ve always enjoyed math and science – for a while thought I would go into engineering. However, I had several physicians in my family and therefore, decided in high school to go into medicine. 2. How did you decide on your particular specialty? Why urology? I knew early on in medical school that I wanted to pursue a surgical field because I really liked working with my hands. I was seriously considering orthopedics and my advisor was the ortho department chair but my mind changed after clinical rotations. Urology seemed the best overall fit for me given its variety of surgical procedures and cross section of patients. 3. What is your favorite part about being a physician? My favorite part of being a physician is having a happy, satisfied patient for whom I have provided care. The intellectual stimulation is very rewarding as well. 4. When did you first learn about HIFU as a treatment for prostate cancer? Due to my presence and training at Indiana University, I have been aware of HIFU for many years, however; I followed its evolution as a treatment for prostate cancer more closely over the past few years. 5. When did you become involved in treating patients using HIFU technology? Our practice, Urology of Indiana, became involved with HIFU over the past 1-2 years. 6. Why did you initially become interested in HIFU as a treatment for prostate cancer? My interest in HIFU as a potential treatment option grew over time as clinical data evolved. This particular technology, the Sonablate, seemed suited as a less invasive procedure and that allowed for focal therapy. 7. What do you typically tell a patient when they are first diagnosed with prostate cancer? I sit down for a lengthy conversation going over the American Urological Association (AUA) and National Comprehensive Cancer Network (NCCN) guidelines and their particular disease and diagnosis. 8. What different types of treatments do you offer men with localized prostate cancer? Our practice provides comprehensive care for localized prostate cancer based upon the guidelines. 9. In your professional opinion, what are the benefits of HIFU as a treatment for prostate cancer? In highly selected patients, HIFU may offer treatment with fewer risks and side effects. 10. How do you decide if HIFU is right for a patient? Many factors, both disease and patient specific, go into deciding which treatment may be best, including HIFU. 11. In general, how quickly do your patients recover after HIFU? What do you tell men to expect? Physical recovery from HIFU is quite rapid. Specific treatment related risks and subsequent recovery depend on the type of treatment given and patient factors. 12. There are obviously a lot of different treatments for prostate cancer; where do you think HIFU best fits in the prostate cancer landscape? I believe HIFU is continuing to become an option for localized disease for very selected patients. 13. In recent years there has been some discussion about over treating prostate cancer and even changing guidelines on when men should start getting regular screening for prostate cancer. What do you tell men? Looking back, I think there is no question we over treated prostate cancer 20 years ago. But our understanding of the disease has evolved over time. I continue to closely adhere to the guidelines as a starting point for the discussion on treatment. I believe in the future we will continue to improve our ability to identify specific cancers requiring treatment on an individual basis and not simply categorize patients. 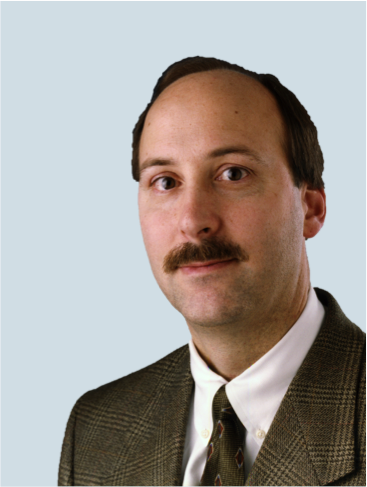 Learn more about Dr. John Scott and Urology of Indiana here or read additional HIFU Physician spotlights here!